A question came up on the Lync Technet forums about how to make Lync 2013 take an inbound PSTN call to a specific Lync number and turn around and send it back out to the PSTN to another number. Previous to Lync 2013, this wasn't possible unless you setup a response group to take the inbound call and forward it to a different number. Lync 2013 introduced inter-trunk routing, which allows administrators to route incoming calls to another phone system. While its main intent is to facilitate connections between dissimilar phone systems, it can also be used to forward inbound calls to another external phone number using the same trunk. Let's assume you have a SIP trunk connected to Lync Server 2013. You have a phone number associated with Lync and your SIP trunk (+15554447777) that you want to forward to a completely different number not hosted on your SIP trunk/Lync (say +15558880001). Also, assume that you've already setup dialing rules to normalize everything to E.164 standards. First, go to your global voice policy and create a PSTN usage. 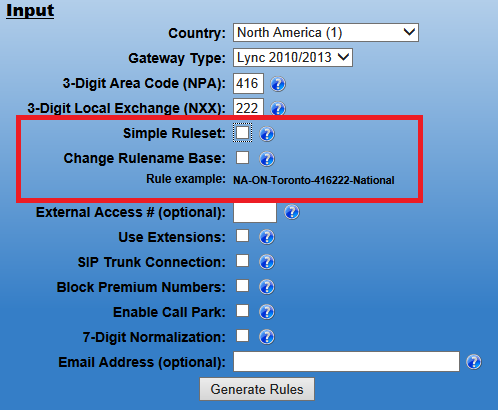 Create a new route that contains only +15554447777, and assign the route to your SIP trunk. Commit your changes, and voila! You have now configured administrator controlled call forwarding in Lync 2013. Make sure the number you want to forward is not already assigned to a user, response group or other feature. If it is, this will not work because Lync will check to see if any Lync resource has the number assigned before attempting any other routing. In most cases, SIP trunks don't support REFER, so any calls routed using this manner will use two channels, one for the inbound leg, and one for the outbound leg. The call will be hairpinned through your Lync servers. Be careful before doing this to a lot of phone numbers. I'm not sure how often this sort of thing would come up, but its nice to know it will work.